Brent Studer of Metedeconk National Golf Club has continued his hot streak into the fall. Studer’s round was good enough to enter the final round with a three-stroke lead over Tyler Hall of Upper Montclair Country Club, who is playing in his first Section Championship. Hall, who is No. 1 in the OMEGA Player of the Year race, collected four birdies on his way to a 2-under 70 finish. Studer, 53, a three-time winner of the Section Championship in 1998, 2008 and 2015, won the Senior Match Play Championship and Senior Section Championship this season. At 1-under, two-time winner Bill Britton of Trump National Golf Club, Colts Neck sits in a tie for third with 2014 champion Pat Fillian of Echo Lake and Brian Krulfeifer of North Jersey, a semifinalist at the Assistant Match Play Championship last week. In a tie for sixth are Echo Lake’s Brian Mackey, Andrew Gordon of Rumson Country Club, and John McCarthy of Morris County Golf Club at even par. 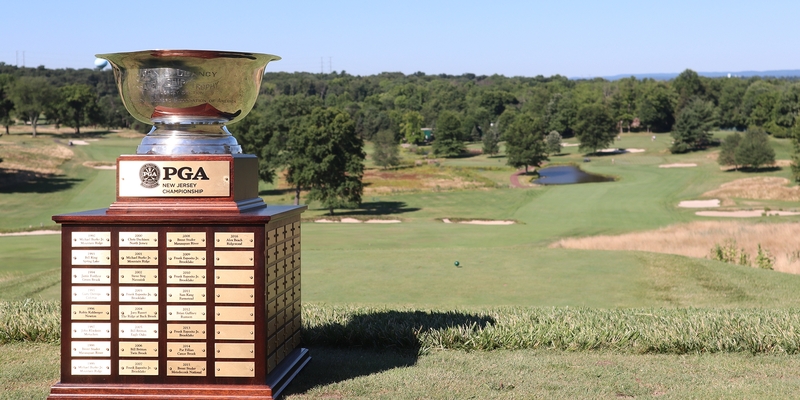 The top 11 finishers for the New Jersey PGA Championship will qualify for the PGA Professional Championship, which features a field of 312 PGA Professionals from around the country.